We firmly feel that SAM Learning is our partner in helping our children achieve the outcomes they deserve. I have successfully used SAM Learning in a variety of schools over the past 10 years and I recently engaged with SAM Learning again, this time at my new school, Graham School in Scarborough. What can I say!?!? I am delighted with the product, service, expertise and commitment shown by the SAM Learning Team. The experience to date has been excellent from my original online enquiry,through liaising with Matt Stringer (Managing Director of SAM Learning), to purchasing and launching the product to where we are now. 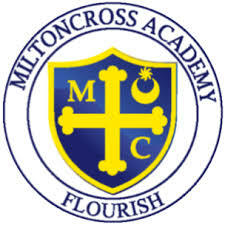 Most importantly I am delighted with the engagement, buy-in, positive attitude and commitment of my fellow teachers in making this a success and I hear daily in corridors, classrooms, lunch breaks etc great feedback from both the students and teachers as to how positively SAM Learning is impacting them. The students have already achieved a superb 10,000 hours usage in less than 6 weeks! What a start to our SAM Learning journey! The strategic reason for selecting and purchasing SAM Learning was to engage with a solution that was proven to improve student grades. In a school where independent learning and targeted student activities and revision were not embedded, SAM Learning offered key features and functionality to allow for individual learner functionality facilitating personalised student learning, as well as a robust self marking homework solution to support colleagues’ workload. We find SAM Learning to be flexible and versatile enabling us to better support key groups in our cohort including providing a solution to support our school wide strategy of Catch-up programmes. Specific content / activities for Catch-up Literacy and Numeracy, which is a key priority within this school. Individual Learner functionality enabling the teacher to set specific work to each individual student, encouraging personalised learning and a differentiated approach. Classroom Differentiation enabling teachers to create LAP, MAP and HAP groups easily and quickly for all classes. Examination Board aligned activities, pre-built in SAM Learning and all self marked, to save our teachers time and minimise workload. A resource which can be used by all teachers, at all levels, for all subjects, year groups and key stages. Our focus over the next two months, here at Graham School in Scarborough, is to introduce more of the new features and functionality of SAM Learning’s Three-wave Intervention solution to all our classroom teachers with the support and assistance of the SAM Learning Team. We are looking forward to the remote and onsite training sessions as well as our forthcoming Optimisation Meetings with Stephanie King (Director of Customer Experience at SAM Learning). Harrow Way Community School, Andover. 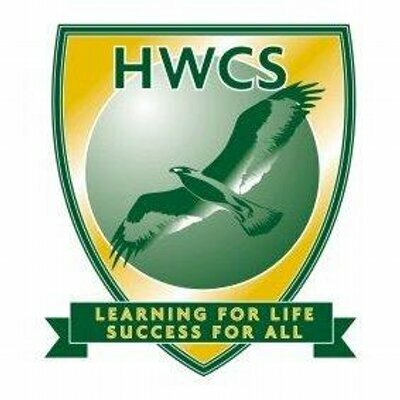 Harrow Way Community School have used SAM Learning for many years now and for a variety of different reasons, but the most important reason is that it works: I genuinely see that it assists students improve their performance and levels. Last academic year we achieved 13,000 hours of usage with the aim to achieve over 17,000 this academic year. Over the years myself and my fellow teachers have used SAM Learning to set homework and promote independent learning. With the recent launch of SAM Learning’s Three-wave Intervention concept during September 2018, we are excited to see more and more teachers using SAM Learning, setting specific tasks to their students based on their current working-at level, target grades and aspirational grades. As a result SAM Learning is being used much more in the classroom environment. The Classroom Differentiation and Individual Learner functionality is adding significant value as students can receive clear and effective work to improve in that subject. Teachers can create LAP, MAP and HAP groups for every class within seconds. Allows teachers to set specific personalised work to each individual student. Being able to edit and personalise existing SAM Learning content – adding pictures, sounds, voice-over, YouTube clips, etc. Huge resource bank pre-built into SAM Learning and increasing weekly. Literacy and Numeracy specific content. Termly Optimisation Meetings with Stephanie King, Director of Customer Experience and a former English teacher, are invaluable. 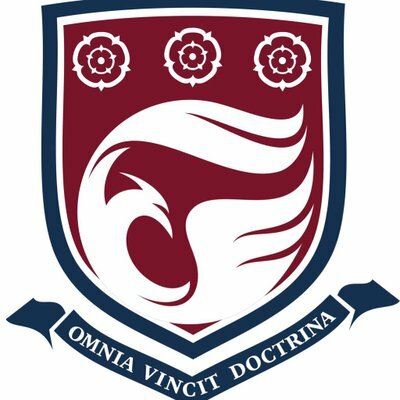 We review key stats and performance data for the school, that I can share with my Senior Team and Subject Leaders, always with the view to learn and improve how SAM Learning is being used at Harrow Way and create even better return on our financial investment. I have regular meetings, contact and access to senior members of their team which include Matt Stringer, Managing Director, and Nick Marr, Targeted Intervention Specialist, to name a few. I have used SAM Learning for many years across a number of schools including Chelsea Academy and now Nishkam School West London, where I joined as Principal in January 2018. SAM Learning in my opinion is an excellent online resource and I am a strong advocate. 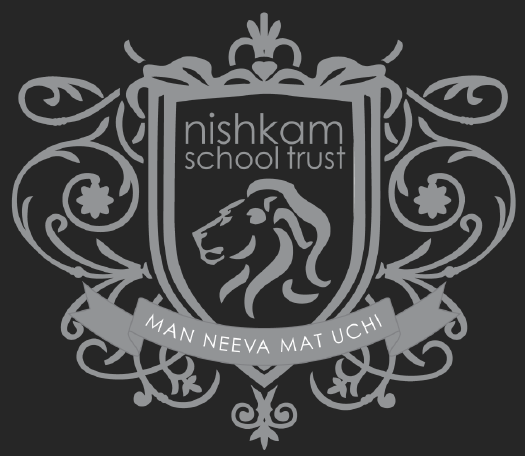 At Chelsea Academy the engagement, buy-in from teachers and students, significant usage and impact was nothing short of excellent and I aim to achieve the same, if not better, here at Nishkam School West London. SAM Learning is currently being used, by our teachers, to set specific students and classes specific activities to drive accelerated progress. Some teachers are setting activities to individual learners, some to whole classes and it is being used in the classroom environment but mainly for knowledge reinforcement, homework and independent learning at this moment in time. Activities are self-marking, saving significant teacher time. It has a bank of resources for Catch-up Literacy and Numeracy. We can use SAM Learning to support students with short term illness, off-site, should this be a requirement in the future. For students I feel it is a highly addictive learning tool which they use on a variety of different devices, phones, tablets, etc. The biggest advantage of using SAM Learning in my opinion is the Individual Learner functionality which facilitates a personalised approach to every student, really targeting exactly what they need in the areas they need it. The launch (set-up) of SAM Learning at the Nishkam School was smooth and straightforward. SAM Learning staff were helpful and competent in managing our data upload process and delivering Administration Training. Onsite Teacher Launch Training was facilitated by Matt Stringer, Managing Director of SAM Learning. I felt this was an excellent session which was highly interactive, structured and acted as a sound foundation in which we can build on. We are looking forward to the Account Review Meeting scheduled for Wednesday, 31 October 2018 with Matt Stringer to assess the school’s progress to date using SAM Learning and next steps as we look to utilise more of the Three-wave Intervention features and functionality. I am a big fan of SAM Learning and see it as an integral part of our homework and independent learning strategies. 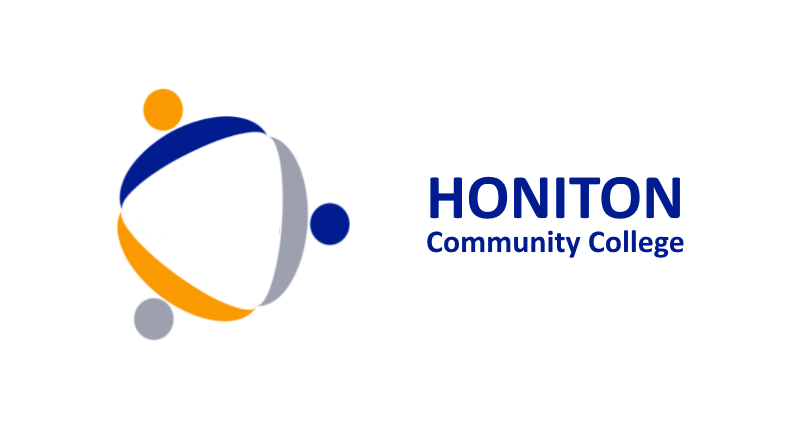 Last academic year, at Honiton Community College, we exceeded 25,500 hours of usage which is superb for a school of our size and early in the academic year we were actually in the top 3 users in the country. What an achievement! I promoted SAM Learning strongly within the school to fellow teachers and students. I also focused outside of school as well, including parents, by sending out regular letters encouraging buy-in, celebrating the success of SAM Learning and to create engagement as well as inviting members of the SAM Learning team to join us for parents evening events and much more. The impact of SAM Learning has been significant in this school and has contributed to progress gains, without a doubt. SAM Learning has recently launched features and functionality to support Three-wave Intervention and we are now planning to integrate these into our classroom teaching practice, in particular the individual learner and classroom differentiation elements. This will help us target specific students with specific pieces of work to drive accelerated improvement. I personally see this as a big step forward for all schools and for SAM Learning as a company. The new Individual Learner and Classroom Differentiation functionality enabling teachers to set specific work to specific students, accelerating progress. The huge amount of examination-board aligned activities (especially for EBacc subjects) which can be set in a matter of seconds. All activities are self-marked, saving teachers a significant amount of time. SAM Learning is used by our students and teachers on a variety of devices including: PC, desktop, laptop, Mac, mobile phones, tablets, Xbox and more. 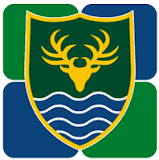 I have recently been seconded to Winterbourne Academy in Bristol and I have already met a number of times with Matt Stringer (Managing Director of SAM Learning) to put strategies in place to bring in, successfully launch and integrate SAM Learning at this school and there is already strong excitement within the school about these plans. We can not wait to get started! Soar Valley Community College, Leicester. I have personally used SAM Learning for three years now here at Soar Valley Community College and I can confirm I am a huge advocate. Why? Because when combined with other learning strategies it makes a significant impact, not only helping to accelerate student progress but saving teachers vast amounts of time and dramatically improving efficiency. 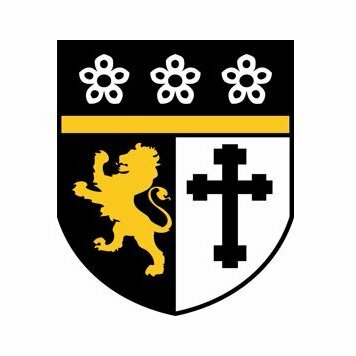 The reason we initially purchased SAM Learning here at Soar Valley Community College was to engage with a proven solution which enabled us to further support our students and target specific cohorts of underperforming students, for example Pupil Premium. SAM Learning’s high-quality, examination-board aligned content, along with the pre-built Targeted Intervention bundles, makes it fast and easy to assign the exact activities that the students need to enhance their performance – and everything is automatically marked for the teachers. A real win! SAM Learning is used daily in this school, mainly for targeting specific cohorts – setting homework, revision and intervention activities. With the recent launch of SAM Learning’s Three-wave Intervention functionality, we are already planning the integration of these high-quality key features and functionality into our daily working practice. In particular, the ability for teachers to set individual students the exact activities they require to accelerate progress is a massive step forward as every student can be managed as an individual. This also complements the internal strategies we have in the school to develop personalised learning. I am also keen to integrate the Classroom Differentiation functionality into everyday teaching practice as I see this adding significant value. SAM Learning provides high-quality support and customer care. They understand the demands and time constraints that are placed on teachers and act accordingly. They conduct termly Optimisation Meetings to ensure everything is running smoothly and cover a variety of important topics/areas to ensure we get the most from our subscription and investment. 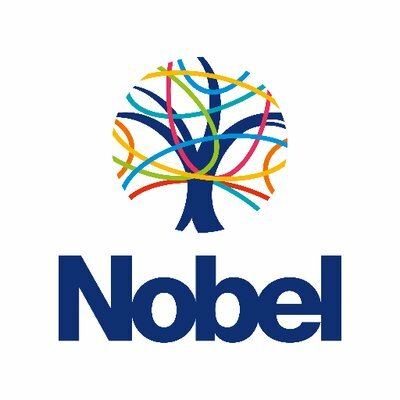 The Nobel School has a long-term, high-quality relationship with SAM Learning, so much so that we have recently extended our subscription for an additional three years. The SAM Learning platform has evolved greatly over recent years, enabling The Nobel School to now use SAM Learning in a variety of different ways because it is so flexible and adaptable. SAM Learning is proving very useful as we set up our new ‘Alternative Provision’ as a separate internal learning base. Students not in lessons for a variety of different reasons can be quickly set work and monitored successfully, including students off site. The Special Educational Needs Department (SEND) use SAM Learning daily to support a wide variety of learners including ‘Not Secondary Ready’. We feel SAM Learning is a huge time saver for our staff and is increasingly used by all. It offers an approach to learning that students enjoy and can be used to provide them with challenge. The recent introduction of the Three-wave Intervention features and functionality is already adding significant value as we can assign activities to the exact student(s) that will benefit from them as well as creating intervention groups in each class for LAP, HAP and MAP students. The Three-wave Intervention model recently launched by SAM Learning mimics our internal school structure and strategies, resulting in an aligned, succinct approach that drives engagement, buy-in, strong usage and ultimately correlates to improvement in student performance and grades. Our school initially purchased SAM Learning to help to provide work for pupils who could not always attend lessons, and also to support teachers in setting effective homework tasks. Wave 1: gives our staff the ability to set tasks for classes as homework or revision activities. Since purchasing SAM Learning it has made a huge improvement to the homework setting in our school. Our data shows that teachers are setting more regular homework and the homework is of a better quality than before. Pupils are completing more homework each week and actually enjoy the tasks. Teachers are happy because the homework is easy to set and very quick to see how well pupils have performed. Wave 2: gives our staff the ability to target specific groups of pupils. We are beginning to use this in our ‘Focus Centre’ to help support groups of pupils with literacy and numeracy intervention. Heads of Subjects run morning intervention sessions for under performing students and are able to supplement this with SAM Learning activities to measure progress over time. Wave 3: gives our staff the ability to target support at individual students. This has been especially useful to us in providing support to pupils who cannot attend regular lessons, through long term illness etc. This has helped these pupils keep up with classwork and continue to learn outside of the classroom, making their eventual return to the classroom easier. From a class teachers’ point of view Wave 3 also allows us to set extra tasks for higher ability pupils or support tasks for pupils who require a little extra help. Through our regular optimisation phone calls with SAM Learning staff we are given ideas and suggestions on how to use SAM Learning effectively and this has definitely had a positive impact on how we use the service. We would definitely recommend SAM Learning to others schools. At New Forest Academy we have been using SAM Learning for the last 7+ years. Initially we were looking for an online platform to support the improvement of student outcomes. We were after a system that was flexibly, versatile, engaging and of extremely good quality, which SAM Learning certainly is. SAM Learning not only enhances the learners educational experience but provides targeted user friendly topic information which can link to assessments. It is also a very good tool for reducing teacher workload. It’s not just for the teachers that are getting the most out of SAM Learning. Students love the fact that the time they have spent on activities is recorded and see this as a motivational drive to spend even more time revising on subjects! Often the phrase ‘how many hours have you completed’ can be heard in lessons and in the corridors. The team behind SAM Learning are excellent. The product is easy to manage and maintain but if you do have an issue the personnel on the end of the phone are more than happy to help. Regular Optimisation meetings allow you to maximise your use of SAM Learning in the context of your own school. Direct conversations with the Managing Director, Matt Stringer and the Commercial Director, Stephanie King shows how this company keeps things personal. SAM Learning is a fantastic online tool that can be accessed on a wide range of devises. It has certainly had a role in improving outcomes at New Forest Academy in recent years.